I’ve been wanting to keep track of craft projects: completed, in progress, and the ones for which I have the supplies but have not yet started. Enter my favorite store, aka Dollar Tree. How cute is this? 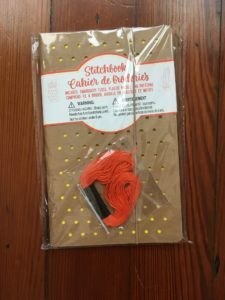 It’s basically a cheap version of the blank Moleskine journal with kraft paper cover AND the added fun of embroidery. 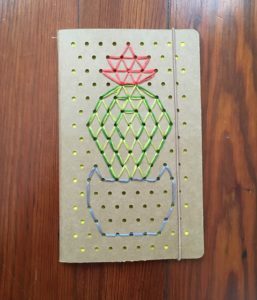 I’ve been on a huge succulent kick lately–basic white woman, I know–so I rolled with it. Off to create the actual lists! Happy weekend!